The other week I received a letter that took me a few times to read to fully understand. It was not a complicated letter, it was just out of the blue and contained information I did not expect to see. I had won a £30 voucher to spend in a local shop. My local Council encourages people to recycle by having a prize drawer for good recyclers. I actually had no idea they did this and I am not claiming to be an excellent recycler, but I do try to do my bit. 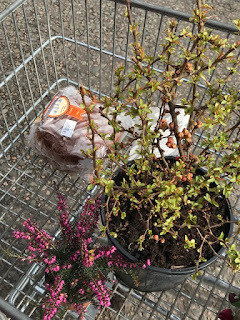 I had choices where the £30 could be spent, including reducing my Council Tax for the year by £30; but I saw in the list that the local garden centre would accept the vouchers so the decision was made. The voucher duly arrived at the same time as the snow and ice. 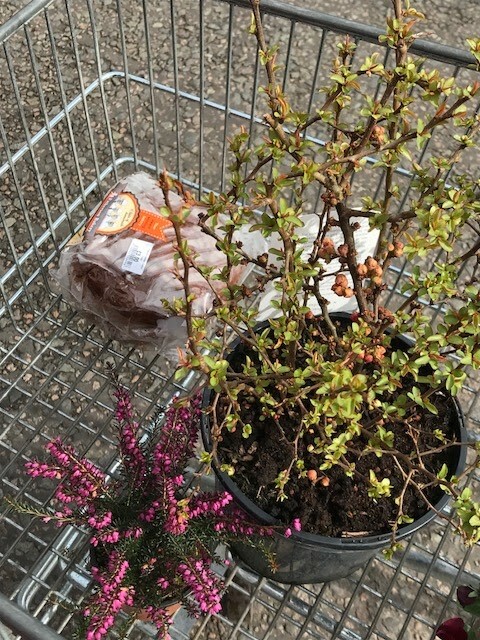 Whilst I wanted to go and spend it I thought I would wait until the garden centre was stocking up for spring so I would have more choice. Then I noticed there was a 'valid until' date and decided I had better not wait much longer. So, voucher in hand, off I went. The day was cold, really cold. It kept fluttering with snow and it hardly got about 2 deg all day. Not a great day for plant buying but it was better then staying in all day and it did mean a near deserted garden centre. Just pause for a moment and consider the damage that this weather is doing to all those who depend on good weather for their livelihoods. 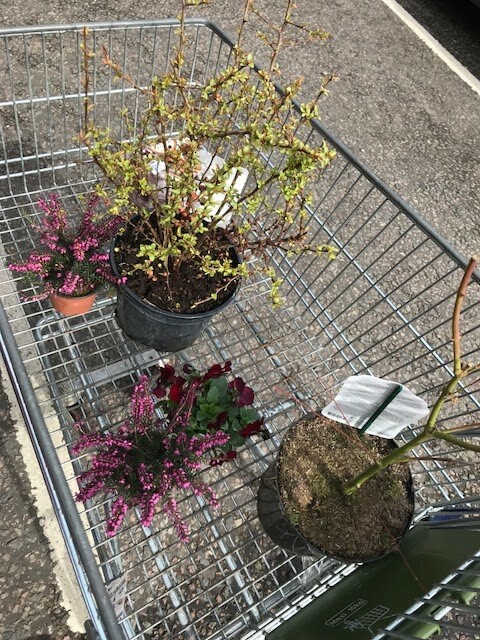 The garden centre is only a couple of miles from home so it is a quick hop. I wandered around the tables of plants waiting for inspiration to hit me. I wanted to buy something that would be worth the £30, I wanted to get the most value for money that I could. I had some ideas in my mind but I was open to suggestion. 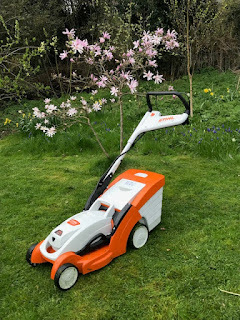 So here are my purchases: I bought an Acer Phoenix which will be going into the shrubby area of the Wild Garden. 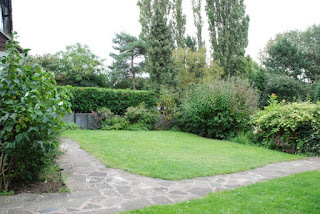 There is a section of the garden, just the other side of the Four Sisters, where I already have planted a couple of small acers. It is a nicely sheltered part of the garden and acers seem to feel safe there. I think it will fit in well. I also bought a Chaenomeles Texas Scarlet. I am pretty much of the opinion that you cannot have too many ornamental quince in a garden especially at this time of year. They add colour nice and early and bees love them. This will also fit into the Wild Garden. I did some adding up in my head and I was not at my £30 total yet. The two heathers caught my eye. Readers with good memories might remember some time ago I proudly announced the creation of the Heather Spur, when I looked back this was a mere five years ago. You may have noticed that I have never really updated on this development, this is because it was totally underwhelming. Only a couple of the heathers still thrive and it just did not work out as I had hoped. I could blame the smallness of the plants but in fact I think I just did not look out for them properly in their settling in period. The ones that have thrived have been really good and provide nectar for bees when few other plants are flowering. The heathers were duly added to the basket and I whispered to them that I aim to treat them better. Finally I popped in a rather lovely dark red pansy. 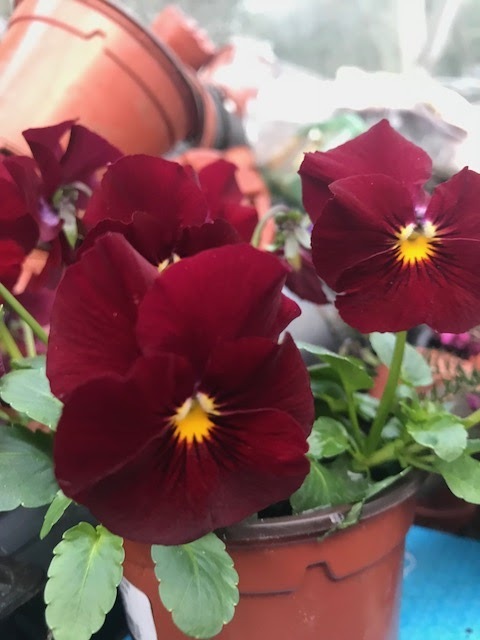 I love a good pansy and this will soon be planted into a nice terracotta pot and probably put onto the front doorstep for some welcoming cheer. Somehow a chocolate cake also jumped into the trolley, don't know how that happened. The cake took me to over the £30 but I was beyond caring at that point. Then the snow began to really mean it and so once I got home I popped them into the greenhouse until I can plant them out, hopefully next weekend. The postscript to this is, yes I am now recycling with renewed effort in the hope I get another voucher. What a lovely selection. Particularly the cake. This made me laugh - things pop into my trolley too. I love that rattle of a trolley of plants! Lovely pansy. I know you shouldn't need encouragement to recycle (although many round my way do!) but a £30 voucher is a good incentive. There are 6 big recycling bins at the flats that I regularly use - perhaps I should be a bit more obvious about it! (Camden has a similar scheme, lest you think Leicester council might notice me!) PS. Love that red pansy.